The Bloody Caesar is sometimes referred to simply as a Caesar and is a slight variation of the Bloody Mary. It's a popular drink in Canada and has some very dedicated fans, but it may not be for everyone. This recipe replaces the tomato juice of the Bloody Mary with Clamato (clam and tomato juice). The rest of the drink is almost exactly the same—though, just like the Bloody Mary, you can customize it. Add more hot sauce or choose an alternative to Tabasco; garnish with a pickle or stick with the celery. There are endless options. The Reindeer Caesar and Forty Creek Caesar are two recipes that have changed up the mix just a little bit and can serve as inspiration for your own Caesar experiments. 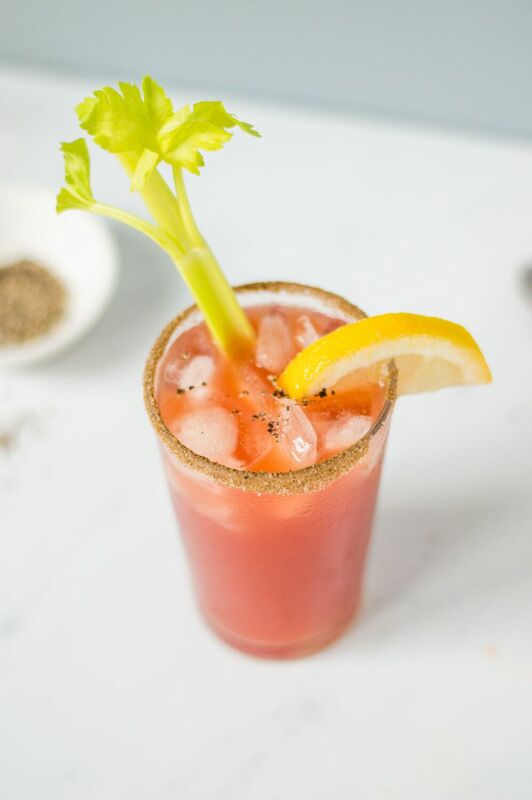 If you love Clamato, the Bloody Caesar makes a great brunch cocktail and another option that may help alleviate hangover pains. Rim a highball glass with the juice from the lime wedge and a combination of celery salt and salt. Season with pepper, Worcestershire, and Tabasco sauces to taste. A slightly easier version of a Bloody Caesar, the Reindeer Caesar is a great morning drink. The main difference between the two is that this one adds a sprinkle of nutmeg, thus the holiday and reindeer connection. Head to Miami for a Fruitier "Iced Tea"